Minor 7th's mission is to serve as an online review forum to enable the best independent and under-recognized acoustic guitarists to receive more wide-spread publicity. The first issue was uploaded in late 1999, and has been published bimonthly since. Hundreds of current, non-mainstream acoustic guitar music releases in fingerstyle, jazz, blues, classical, and singer-songwriter genres have been reviewed over the years. Minor 7th has also featured exclusive interviews with guitar greats such as Tommy Emmanuel, Andy McKee, Martin Taylor and Kaki King. 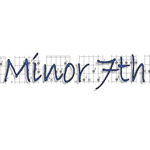 Free CDs of the top slated reviews are given away to readers bimonthly, and full-length musical tracks by featured artists are available free by subscription to Minor 7th's podcast. 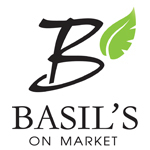 Located in the heart of Troy, Ohio, Basil's offers an upscale casual bistro with affordable American fare. Bringing a big city flare to a quaint hometown. Chef Todd Uhlir's inventive and creative menu offers Dayton's diners the opportunity to experience a modern spin on favorite dishes utilizing the best local products. Our 120 seat restaurant with 2 private dining rooms with seating for 15 or 35 is perfect for your next business meeting or social gathering. Great food and spirits at great prices. Join us for lunch or dinner. 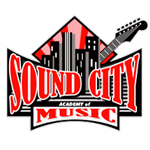 Sound City Music, "where students become musicians" has been a locally owned and operated mecca for local musicians for over 20 years. The owner Matt Stump is a professional musician and understands all aspects of the music business. Sound City Music specializes in new and used guitars, basses, amplifiers, and drums as well as accessories for all types of instruments. Sound City Music has a large selection of guitar picks, guitar strings, and drum sticks and offers repair services for most electronics, guitars, violins and band instruments. Sound City Music also offers private and group lessons, featuring many experienced, versatile teachers who've spent many years in the music business. Sound City Music will compete with most advertised Internet pricing.